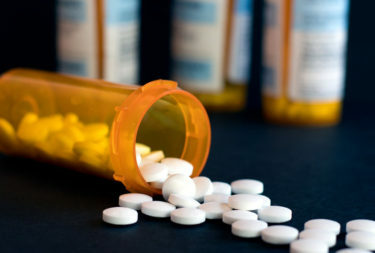 The North Carolina General Assembly took further action to combat the opioid epidemic, passing SB 616-Heroin and Opioid Prevent and Enforcement Act (HOPE Act). Viewed as a follow up of the STOP ACT passed last year, the HOPE Act seeks to give law enforcement the necessary tools to investigate and crack down on the flow of prescription opioids into the illegal drug market, as well as to provide resources for treatment and harm reduction. Allocates $160,000 to fund Operation Medical Drop, a project that helps the public to safely dispose of unused or unwanted or expired medications. “Gives trained investigators appropriate accesses to prescription data and records to improve investigations,” according to the North Carolina Department of Justice. Clarifies that “fentanyl trafficking is covered by our drug trafficking statutes.” Fentanyl is a powerful drug that is used in some cases “to treat breakthrough cancer pain or end of life discomfort.” Drugs that are “laced” with fentanyl have contributed to the high instances of overdose deaths. Rep. Greg Murphy (R-Pitt) and Rep. Craig Horn (R-Union) led the effort to pass the bill in the House. Sen. Jim Davis (R-Macon) and Sen Tom McInnis (R-Richmond) led the effort to pass the bill in the Senate. The bill passed unanimously in the Senate and passed the House by a vote of 87-25. Some House members feared that the bill could be a violation of privacy. It has now been sent to Governor Roy Cooper, with the expectation that he will sign it into law. If you wish to learn more about the Opioid epidemic, our Fall 2017 magazine feature story delves into the stunning stats that show how widespread this issue is in North Carolina, as well as, a personal story of one North Carolina family’s struggle with addiction.